Seattle, WA — June 20, 2018 — /D.M.O. Newswire/ — It is truly an incredible smoke: 28 grams of sought-after Tangie flower, wrapped in solvent-free hash rosin, then covered in a layer of premium cannabis fan leaves, and finally wrapped in a layer of 24-karat, edible gold leaf. Diego Pellicer – Washington today announced that it has sold its first $10,000 cannagar. 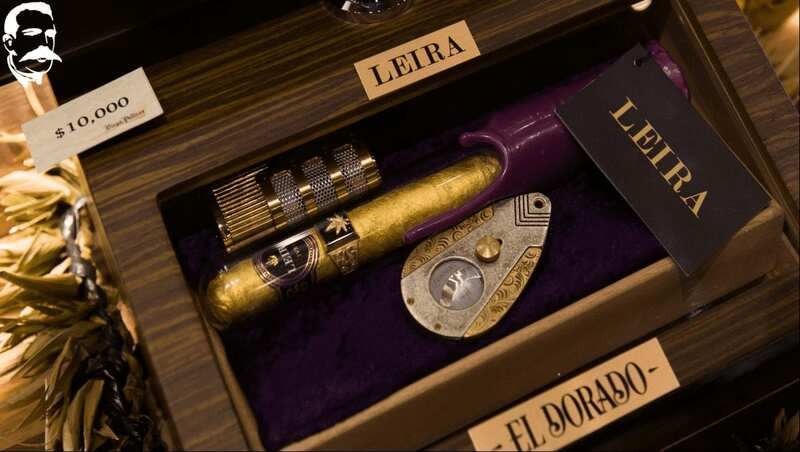 While the “El Dorado” Gold Cannagar, commissioned exclusively for Diego Pellicer, has just found a connoisseur to savor it, additional custom-made, one-of-a-kind cannagars can be conjured and ordered from Diego Pellicer in Seattle, 2215 4th Ave S.